Your source for local Atlanta real estate news, home prices and trends in the ATL. Curated by the Live In The ATL Team. We are proud to be part of RE/MAX Around Atlanta the ATL’s #1 residential real estate firm. Great Food, Great Music and Great Weather Made For One Awesome Night In Suwanee. Friday evening was the second Food Truck Friday of the year at Suwanee Town Center Park. There were a dozen vendors providing everything from street tacos to chicken and waffles to crêpes to báhn mì and more. In addition to the variety of culinary delights attendees were treated to a symphony of jazz from from the bands at Collins Hill, Flowery Branch, North Gwinnett, and Peachtree Ridge High Schools. The next Food Truck Friday at Suwanee Town Center Park is scheduled for June 5th. We’ll see you there. We are always asked, “How’s the market?” Well as we start spring there just aren’t enough homes for sale in Atlanta to satisfy the demand of all the Buyers currently in the market. This is not uncommon in the ATL, as historically inventory levels are lower through winter and levels start to pick up as we move into spring. 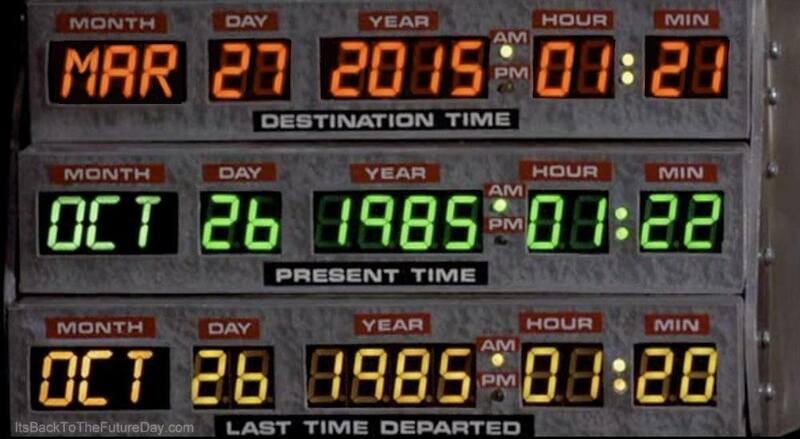 So why should you consider selling your home now instead of waiting until later this year? There are several reasons and we will explore each of them throughout this week. One of the primary reasons why it is beneficial for Sellers to list now is your home will have significantly Less Competition Now. The current national housing supply levels have dropped to 4.6 months and many parts of the ATL are well under the national average. This is below the the normal housing supply levels of six months. So what does this mean? In much of the ATL there are simply not enough homes for sale to satisfy the number people that are actively looking for a new place to call home. 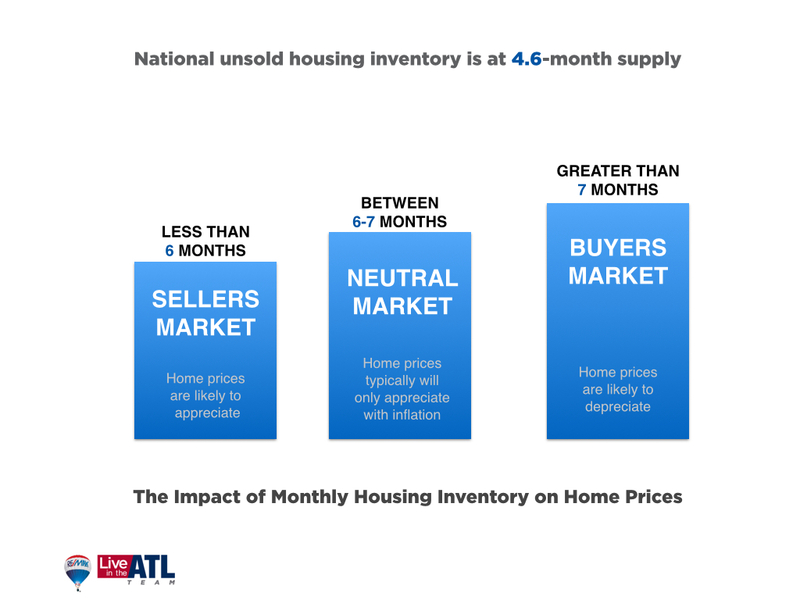 However this is going to change as additional inventory is about to enter into the Atlanta market. For the first time in years many homeowners are now able to sell their home and move as they were unable to do so the last few years because they were previously in a negative equity situation. Homeowners are now realizing a return to positive equity as home values in the ATL have continued to increase over the past couple of years. Many of these homes will soon be re-entering the market in the near future and thus increasing the inventory levels and expanding the choices for Buyers. 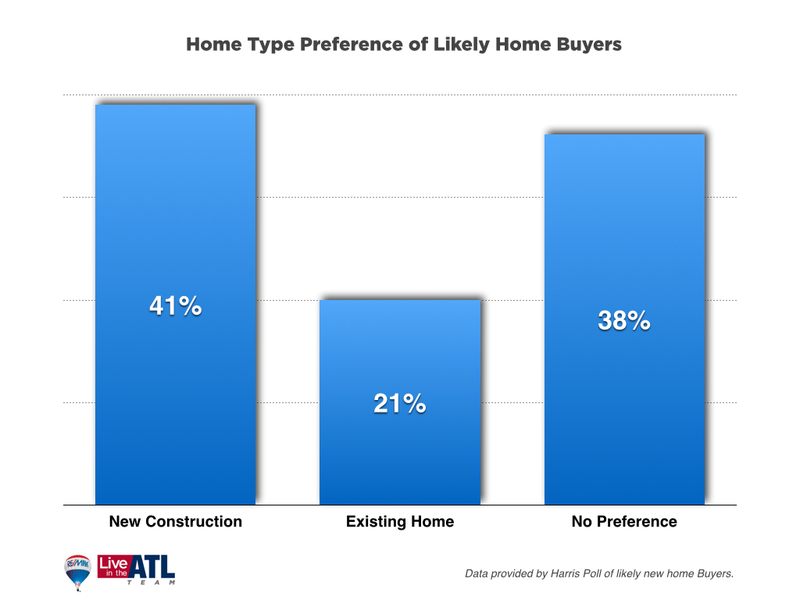 Another factor that will increase the number of available ATL homes is the return of new construction homes. New construction of single-family homes is again beginning to increase. Sellers should also take note that many Buyers prefer new construction homes. A study by Harris Poll revealed that the typical home Buyer is twice as likely to want to purchase a new construction home verse a real sale home. As we move into spring Buyers will continue to have more choices as the ATL housing inventory starts to increase. So don’t sit around and wait until all the new inventory of homes comes to market before you sell. If you’re think of selling your home or just curious about the process go ahead and contact us. Our Team can leverage our proven Internet Marketing Strategy and utilize our 3D Real-Tour Technology to sell your home now before the new inventory enters the market.